The price of bitcoin has dropped by over $1,000 in a day after South Korea became the latest in a string of countries to announce a crackdown on the cryptocurrency. Bitcoin was down over nine per cent to around $10,552, having recovered from £10,168 in early morning trading. Earlier this week the price was around $12,000. 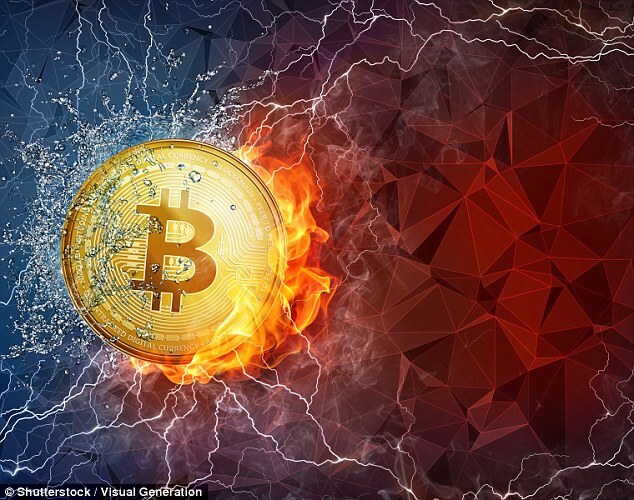 With fears increasing that the bitcoin bubble is set to burst, prices are swinging up and down wildly, with the cyrptocurrency shedding 18 per cent of its value in a single day last week. Bitcoin prices have shot up by 1,600 per cent this year, with increasing numbers fearing that this represents a bubble about to burst.. In a bid to stamp out the frenzy of speculation, authorities in South Korea have confirmed they are eyeing up plans to ban anonymous cryptocurrency accounts and introduce legislation to enable regulators to close coin exchanges if deemed necessary. South Korea's government said: 'Cryptocurrency speculation has been irrationally overheated in Korea. At present, South Korea is home to one of the biggest markets of bitcoin in the world. Earlier this month authorities in South Korea said they were considering imposing a capital gains tax on cryptocurrency trading. Elsewhere in Asia, authorities in China, Japan, Vietnam and Singapore have all warned against the potentials perils of bitcoin while grappling to tighten their grip on the market. In September, China passed a 'comprehensive ban' on platforms allowing people to buy or sell virtual currency such as bitcoin or etherium. Vietnam took similar steps in November. Earlier this year, JP Morgan's chairman and chief executive Jamie Dimon branded people who purchased bitcoin 'stupid', before hastily stating that he would not be discussing the cryptocurrency again in future. In a sign of its increasing legitimacy in certain parts of the world, the trading of bitcoin was given the green light on the Chicago Board Options Exchange and via CME Group's network earlier this month. In November, Donald Trump's press secretary Sarah Sanders said the president was 'keeping an eye on' bitcoin and other cyrptocurrencies. Bitcoin was created in January 2009, litecoin in October 2011 and ethereum in July 2015. 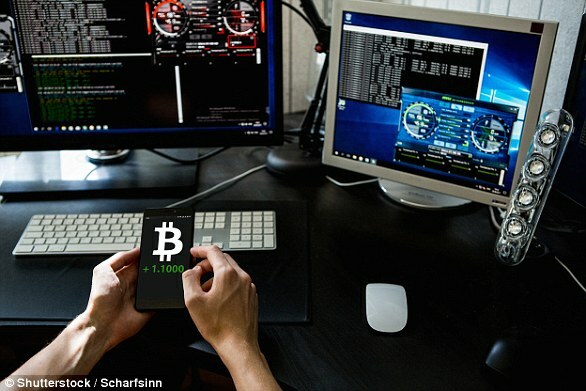 Find out how bitcoin and the blockchain works, so that you have some understanding of the system, the ledger, the major players and the public and private key elements. Remember bitcoin yields nothing and its main source of value is scarcity. Most bitcoin activity is trading not investing. Research coin wallets, the digital vaults where cryptocurrency is held, and consider security carefully. Bitcoins have been stolen before, understand how this happened. Be prepared for extreme volatility. The price can move by 20 per cent in one day and you could easily lose half of your cash in a far quicker time that investing in the stock market. Consider how you would cash in any gains. There are reports that this has proved hard for some people. A time of market stress could lead to people being locked in and unable to trade. Read our guide to How to be a successful investor, which looks at the far less high octane world of long-term investing and how to make it a success. Bitcoin has risen more than tenfold this year and doubled in just seven weeks. But can it keep rising as adoption gets more widespread, does blockchain's promise justify the price, and does any of this matter as to whether it is in a bubble or not? In this excerpt from the This is Money podcast, Simon Lambert and Georgie Frost discuss Bitcoin's astonishing rise. Press play to listen below or listen (and please subscribe if you like the podcast) at iTunes,Acast and Audipboom or visit our this is money prodcast page.